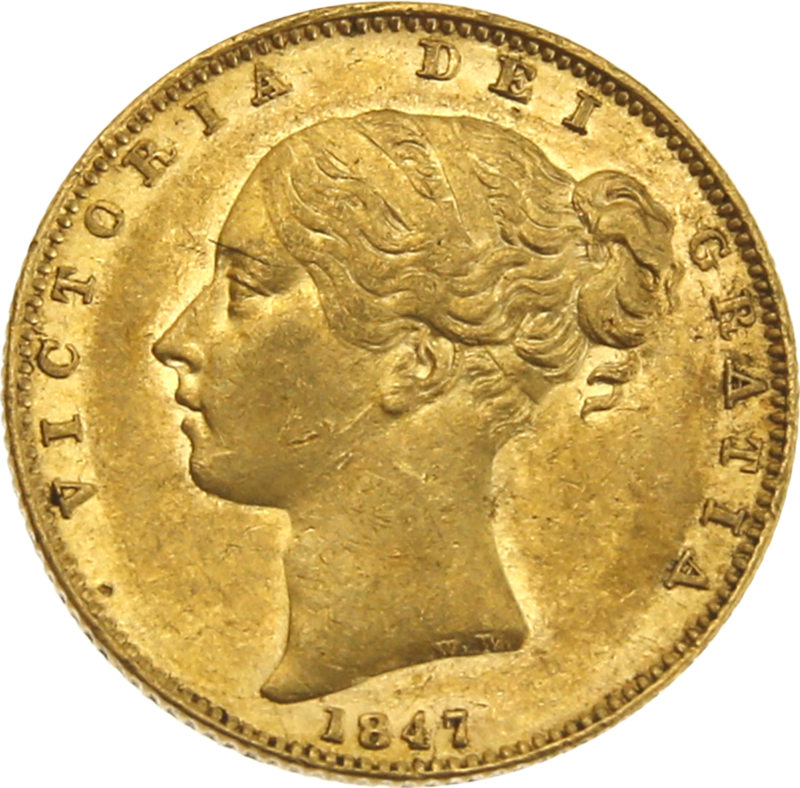 Victoria Young Head, Shield reverse coins were produced from 1838 – 1887, with exception to 1840, 1867 and 1876, there were no coins minted during these years. 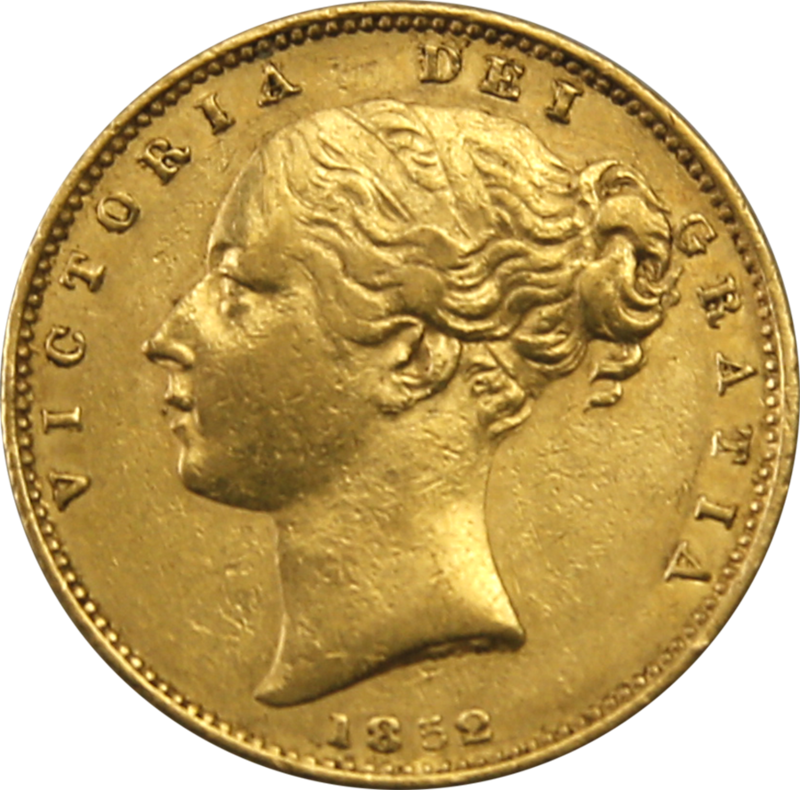 Interestingly the Young Head Victoria coins are the only Sovereign to run two different designs concurrently. These designs consist of the ‘shield back’ and the ‘George and the Dragon’. 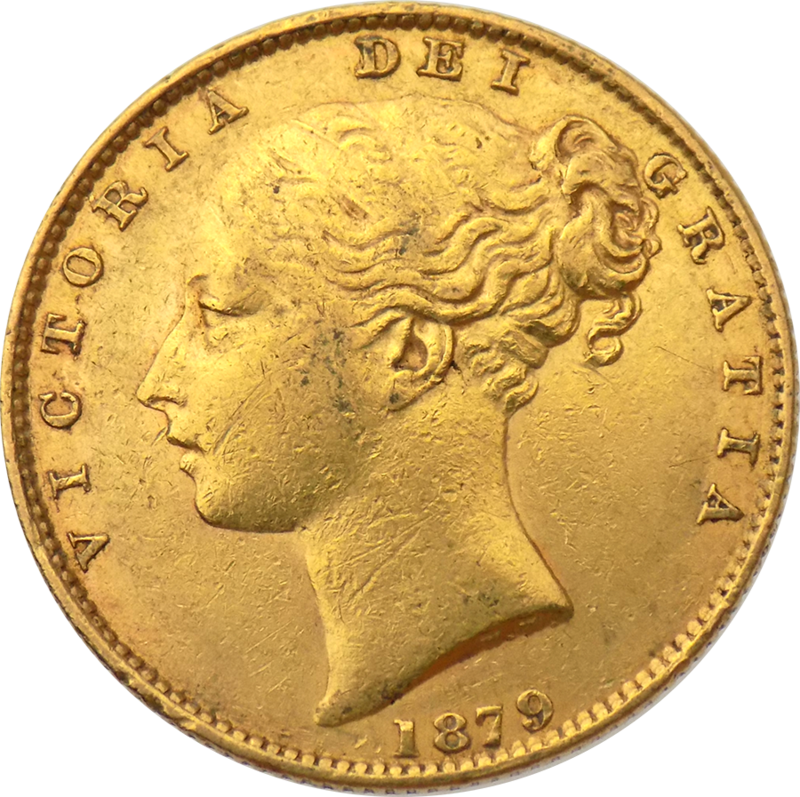 The Queen faces to the left on these coins and are struck in coin alignment rather than medal alignment. 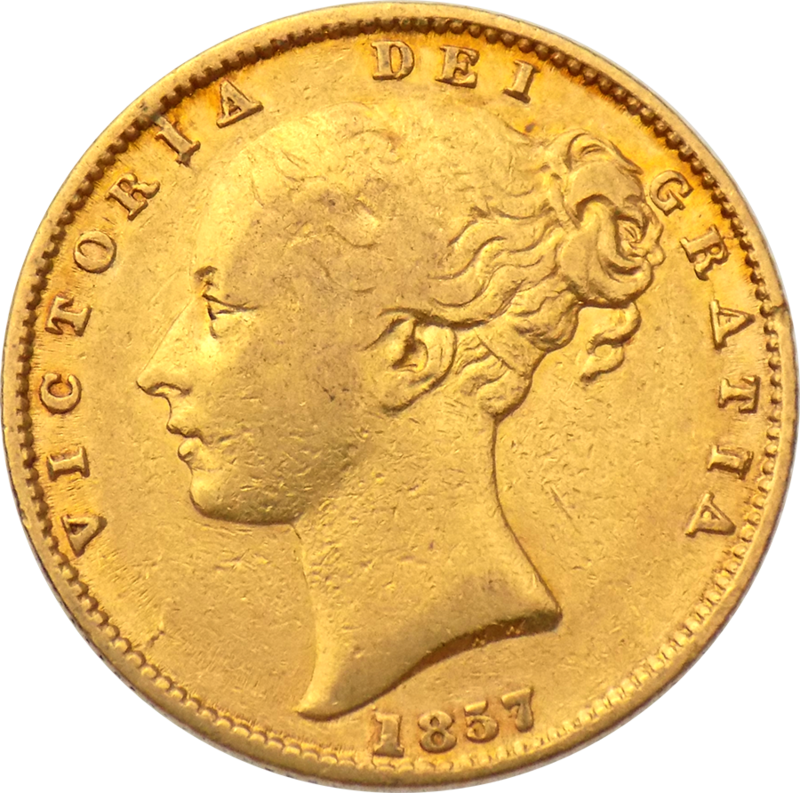 This means that should you hold the coin at the top and bottom and turn it through a vertical axis the head or reverse will appear the right way up. 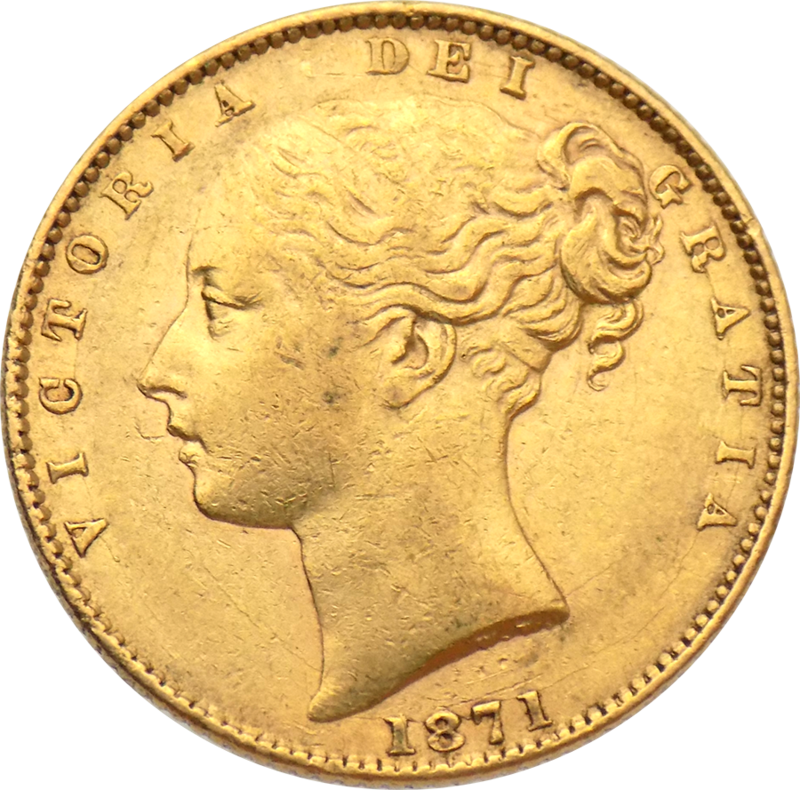 The date of the coin appears underneath the head of the Queen. 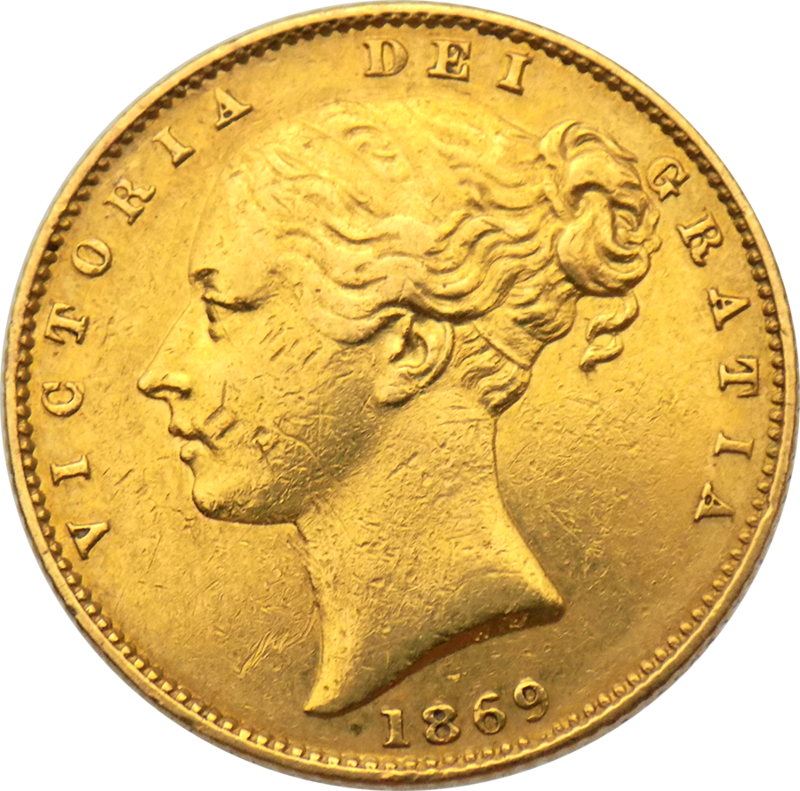 The mint mark can be round on the reverse and is located under the shield, in between a conjoined rose, thistle and shamrock. 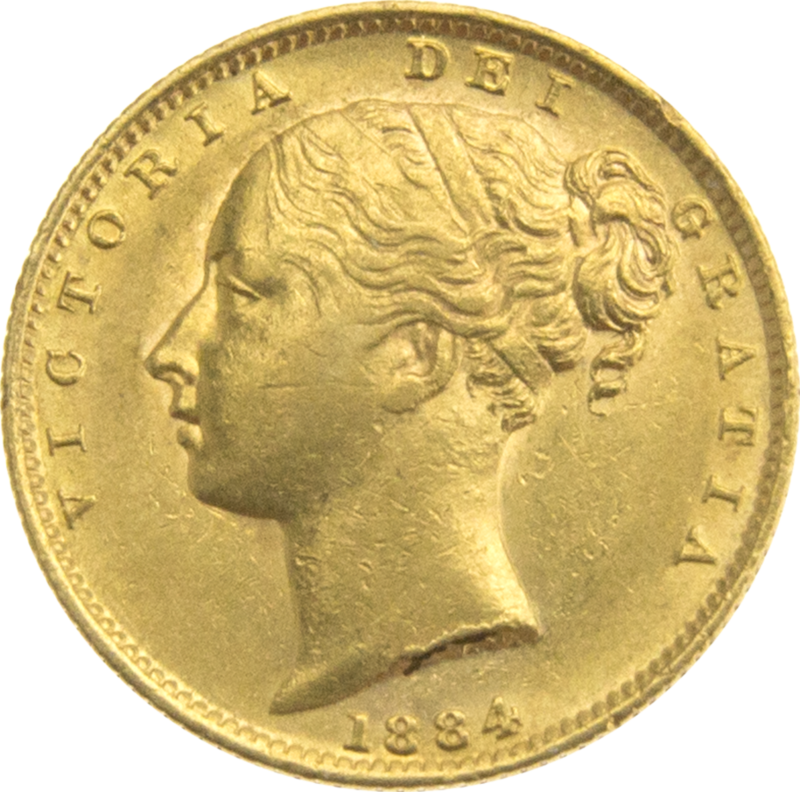 Coins in these years featured the first portrait of Queen Victoria, often referred to as the ‘young head’ or ‘bun head’. 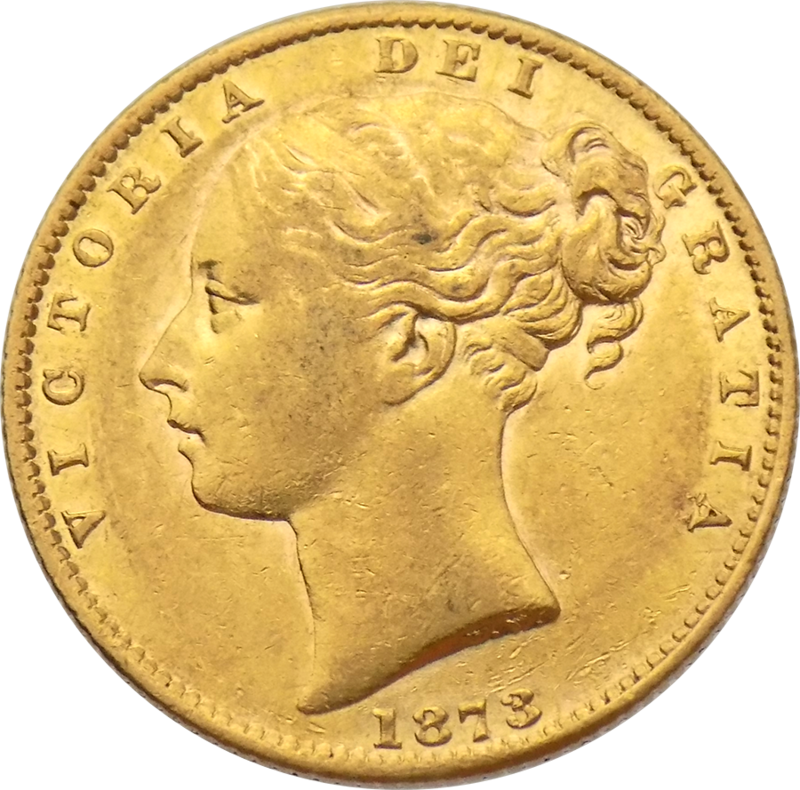 Coins were minted at the London, Melbourne and Sydney Mints.